We are a community of Catholic Benedictine monks living in the only medieval British monastery still being used for its original purpose. 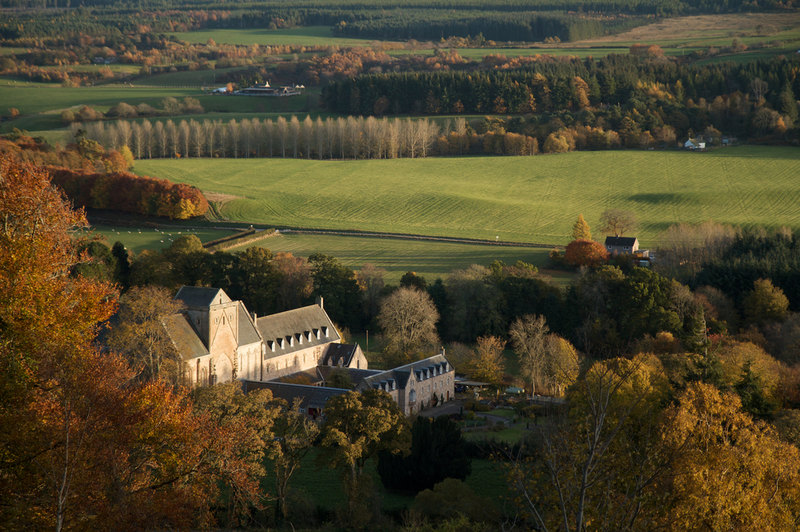 Situated in north-east Scotland, six miles south-west of Elgin in Moray, the monastery enjoys the peace and stillness of a secluded glen, but is easily reached by road from the town. The atmosphere of quiet reflection and of work dedicated to the glory of God is the same now as it was in the thirteenth century, when a community of monks first came to this part of Moray. 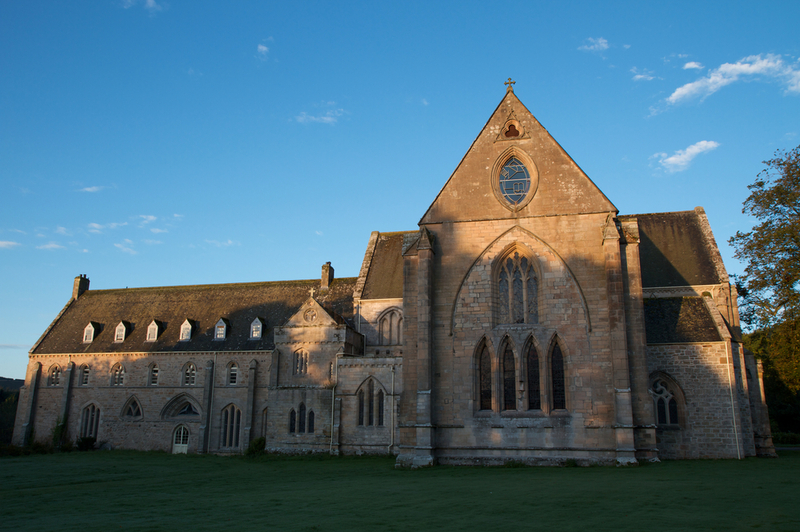 If you visit the Abbey today, you can enjoy not only the beauty of its architecture and its setting but also something of the restful atmosphere of devotion that has so deeply permeated this little corner of Scotland. The Mass and full Divine Office are sung by the monks each day in the Abbey church, using Gregorian Chant. Guests are received in the two guest houses: men and women of all faiths are welcome to make a retreat here and to share in the prayer and work of the community, or simply rest and renew their focus on what is most important. Short film In search of God gives an insight into monastic life at Pluscarden Abbey.